Cognitive and emotional disruptions of celiac disease and gluten sensitivity. It is common knowledge the celiac disease affects the gut. Though this is true, it is only a fraction of the picture. Celiac disease (CD) is an autoimmune disorder that causes diverse and far-ranging symptoms. CD Affects about 1% of the population is more common in women than men. It has been researched for the past 45 years and is fairly well known. By contrast, our understanding of gluten sensitivity as an illness separate from CD is recent and still emerging. Exact numbers are unknown, but is estimated that GS is six times more prevalent than CD. The culprit and cause of pain for individuals with CD or GS is gluten, a protein found in wheat, barley, and rye. As awareness of gluten, GS, and CD continues to grow, more people are finding relief from painful digestive disorders by avoiding gluten. What many do not know are the negative cognitive and emotional disorders that can be caused by gluten consumption if one has CD and GS. This article will briefly highlight the cognitive and emotional complications of CD and GS, as reported in Neurologic and Psychiatric Manifestations of Celiac Disease and Gluten Sensitivity a study published in NCBI in 2012. This is critical information for the public to understand. “Gluten sensitivity remains undertreated and under-recognized as a contributing factor to psychiatric and neurologic manifestations” and “it is notable, based on the lack of gut involvement, that neurologic and psychiatric complications seen in gluten sensitive patients may be the prime presentation in patients suffering from this disease,” according to the study. It is possible to be gluten sensitive, with gluten causing cognitive or psychiatric disruptions, but not causing any symptoms in the digestive tract. 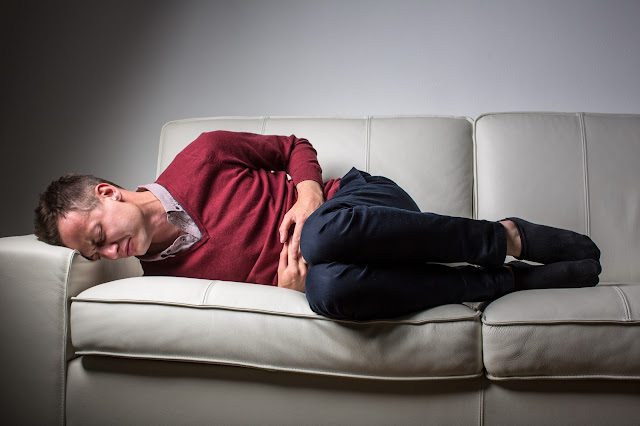 With digestive discomfort being the most known symptom or CD and GS, it is likely that some with CD or GS causing neurological and psychiatric complications are misdiagnosed. “Data suggests that up to 22% of patients with CD develop neurologic or psychiatric dysfunction, and as many as 57% of people with neurological dysfunction of unknown origin test positive for anti-gliadin antibodies,” according to the study. Gluten can damage part of the cerebellum, the lowest part of the brain, for those with Gluten Ataxia. This damage can result in problems ones gross motor skills and gait, causing loss of coordination and physical disability. Epilepsy is a “documented neurological manifestation of GS or CD.” The prevalence of celiac cases in people with epilepsy ranges from approximately 0.8–6%.. One study showed that for patients with CD and epilepsy, “seizure activity was better managed in the patients who received the earliest gluten-free diets.”. Additional neurological conditions are: peripheral neuropathy, inflammatory Myopathies, myelopathies, headache, and gluten encephalopathy. Recent research suggests that “gluten-mediated immune response is frequently associated with neurological and psychiatric manifestations.” If you have neurological disorders and have or suspect CD or GS, we highly suggest reading the complete article and speaking with your doctor about your concerns. Kay’s believes that with knowledge comes the power to make choices that will improve your health and wellbeing. Kay’s Naturals was created to provide the public with low-sugar, high-protein snacks that were gluten free and convenient. For more about our products visit our website!